Jet Airways Sale: Jet Airways founder Naresh Goyal has withdrawn from the bidding process of the cash-strapped airline. Jet Airways Sale: Jet Airways founder Naresh Goyal has withdrawn from the bidding process of the cash-strapped airline. Goyal had recently resigned from the company. 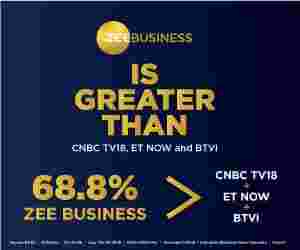 According to the Zee Business TV, the Jet Airways founder has now decided not to bid for acquiring a stake in the ailing airline. Jet Airways is currently operating less than 10 aircraft. The crisis-hit company is currently awaiting infusion of fresh funds under a debt resolution plan. Goyal had resigned as chairman of the Jet Airways last month. On April 12, sources had said that Goyal had also put in a bid for the carrier. SBI Capital Markets will carry out the sale of Jet Airways on behalf of an SBI-led consortium of the domestic lenders to the debt-ridden private carrier. The ailing airline has over Rs 8,000 crore debt. News agency PTI reported on Saturday last that Goyal had put in a bid for buying a stake in the Jet Airways. The report said that the bidding norms allowed Goyal to participate in the sale process. "It could be financial investor, it could be airline...including Naresh Goyal himself or Etihad. Nobody is barred from bidding or taking over the airline as per the rule," SBI chairman Rajnish Kumar was quoted as saying last month. Meanwhile, an ET Now report today said that the management of India's Jet Airways has proposed to suspend all operations of the debt-laden airline at its board meeting. Jet Airways shares were down as much as 18.53 per cent today. This is the company's worst session since August 2015. In a letter to its employees on Monday, Jet had said it planned to extend its suspension of international flights until Thursday as it had not received any interim funding from lenders. For the last several weeks, Jet has grounding planes. As per reports, as many as six parties have submitted expressions of interest, though it is still far from clear if an acceptable bid will materialize.